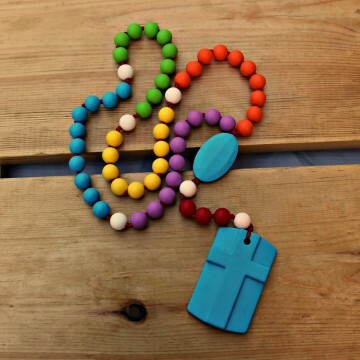 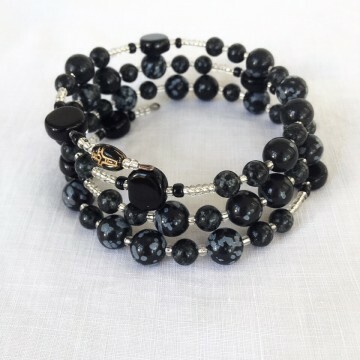 This unique rosary was designed to honor the miracles that occurred at Tepeyac when Our Lady of Guadalupe appeared to St. Juan Diego. 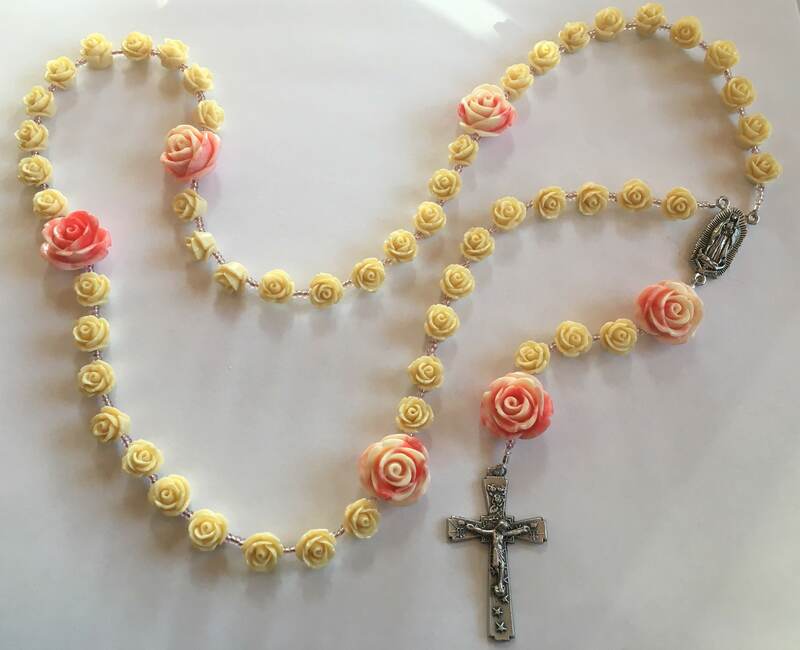 She made fresh roses available in the dead of Winter and arranged them in his tilma to bring to the bishop as a sign of her presence and wishes. 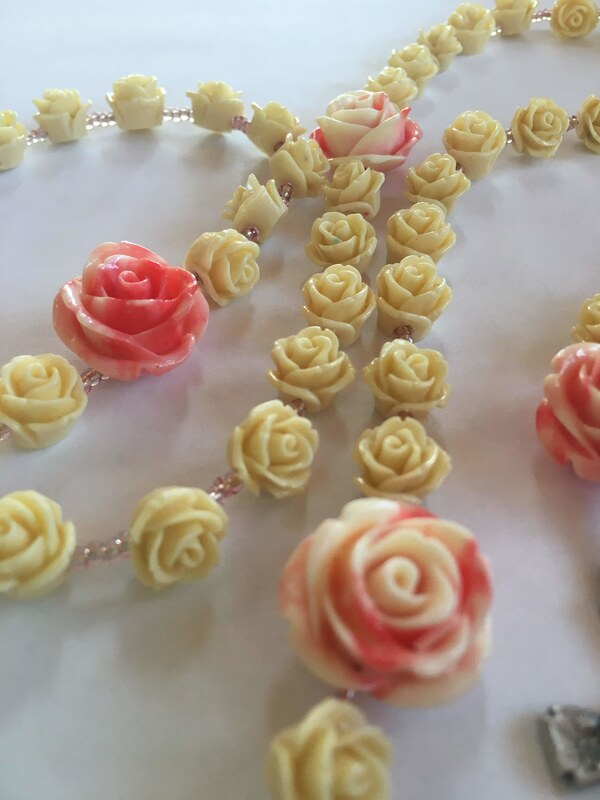 She then appeared in a most miraculous image on his tilma when he presented the roses. 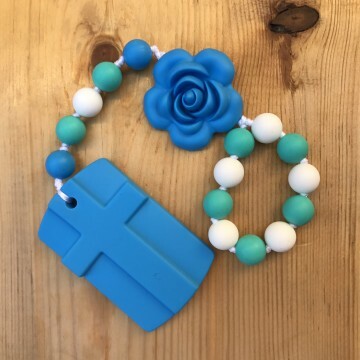 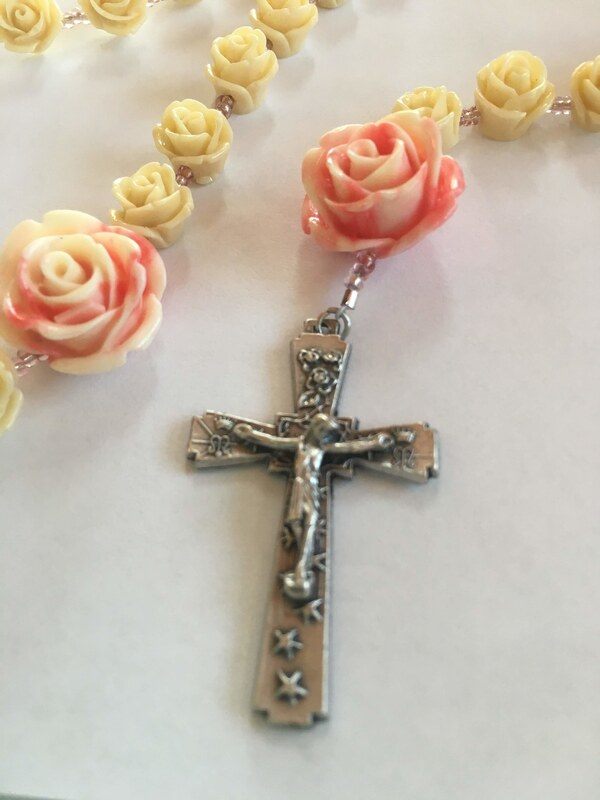 This rosary is made of acrylic cream roses and larger coral and cream roses. 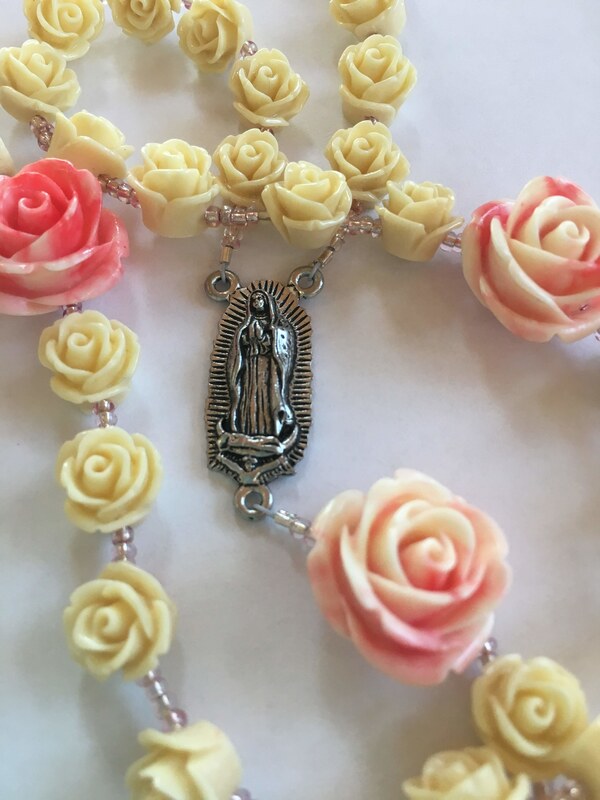 The centerpiece shows Our Lady’s image and reads “Our Lady of Guadalupe” on the back. 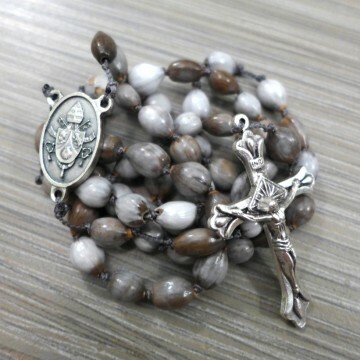 It is completed with a highly detailed Marian crucifix–featuring roses, stars, crowns, and the Marian “M” symbol.